Please fill out your information below and Passguide Partner Program Manager will get back to you with best solution according to your requirements. 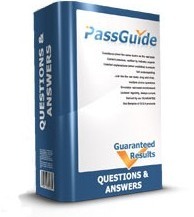 Please add comments about your requirements regarding Passguide products. Please enter security code exactly as shown. There are many ways you can partner with Passguide and develop new personal revenue streams, promote popular or favorite products, or simply save time and money for your company with licensed solutions. Passguide is more than a provider of certification exam training materials, we can also assist you in developing a preparation plan for your IT professionals on staff. Grow your existing certified team of coworkers into a work force that will elevate your business as they develop.